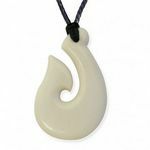 New Zealand designer Tania Tupu draws inspiration from New Zealand and the Pacific when designing jewellery for her collection and this pendant is an excellent example of her inspiration. Featuring Pacific Mother of Pearl highlights, this contemporary drop pendant is really a thing of beauty. 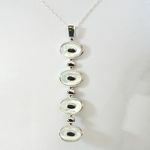 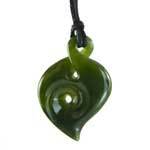 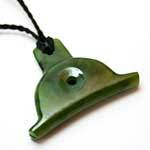 The pendant measures 75mm (3 inches) long and 18mm (3/4 inch) wide and is hung on a sterling silver chain. 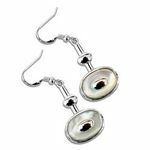 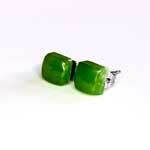 To achieve the overall look make sure to check out the matching earrings from Tania Tupu.